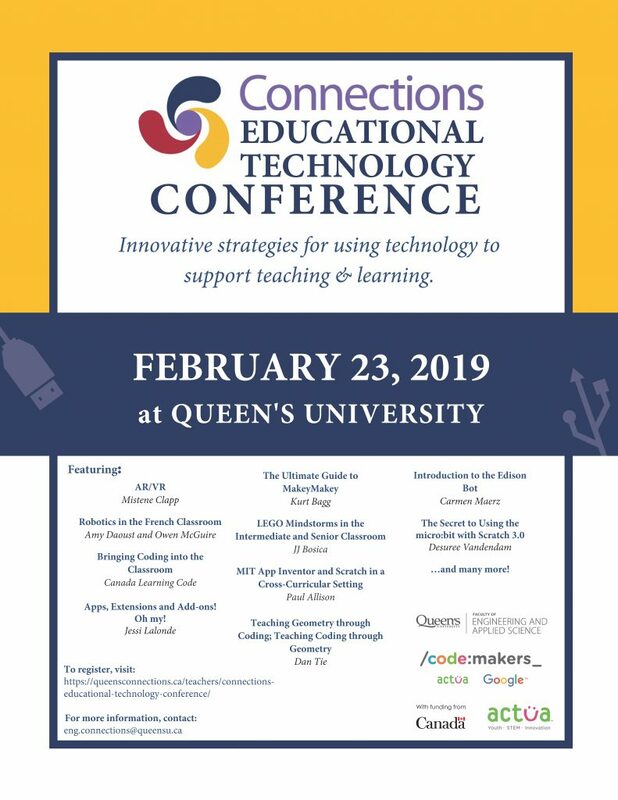 The Connections Educational Technology Conference has been designed to continue building a collaborative partnership between Queen’s University and K-12 teachers in the Greater Kingston Area. In partnership with many local teachers, we are able to host workshops focusing on Makerspaces (3D design/printing), Digital Literacy (Microbit, various robotics, Scratch), as well as many other classroom-friendly technologies. The workshops are intended to engage teachers with innovative strategies for using technology in the classroom to support teaching and learning.